Gertrude is one of most successful women in medicine. In 1953 she came up with the compound 6-marcaptopurin. 6-Marcatopurin was the first widely used and successful treatment of acute lymphoblastic leukemia in children. Her compound brought up the survival rate of leukemia in children from under 20% up to 80%. For nearly 50 years afterwards Gertrude continued to publish on newer and improved methods for chemotherapy (Avery 1999). 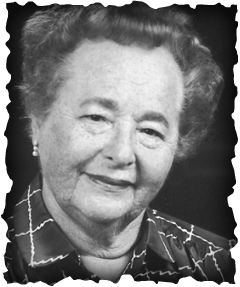 Her career encompassed a total 45 patents (mostly in medicine), and 23 honorary degrees. Grace Murray Hopper is probably one of the most underrated inventors of the 20th century. 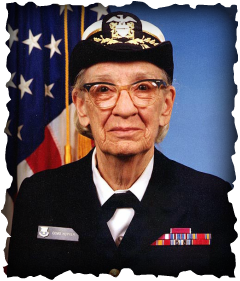 Mrs. Hopper was not only a highly ranked Naval Officer before retiring but she was also the mastermind behind the first commercial Electronic Computers and Compilers that have evolved into the technology we all know and use today. He expertise moved her up the ranks in the Navy higher than any other women of her time and eventually got her name attached to a ship after she retired (the U.S.S. Hopper). She was also responsible for some of the first Electronic Payroll systems also first implemented by the Navy. 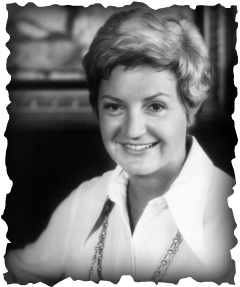 Ruth Handler was the sole inventor of the Barbie Doll. She first came up with the idea in the early 1950's when she would always see her daughter playing with rudimentary dolls. Seeing how much her daughter enjoyed these dolls, she was out to invent a three -dimensional doll that little girls and young ladies could aspire to be. A few years later in 1959, the Barbie Doll was born. It has by far been one of the most successful toys in the girls market selling over one billion units thanks to Mattel Corp. In 1976, a Barbie doll was even placed in the Bicentennial time capsule. 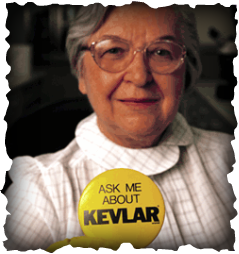 Stephanie Kwolek's road to discovering Kevlar started back when she first got her job at the Dupont Textile chemistry Lab in 1946. For 18 years she was doing exploratory research in polymers until she stumbled upon the polymer that she would later give the name Kevlar. Only a few years later, Kevlar began its commercial production into making bullet proof vest, airplane parts and numerous other application in safety equipment. Her invention of Kevlar has probably single hand-idly saved more lives that she could have pursuing a career in medicine like she intended. 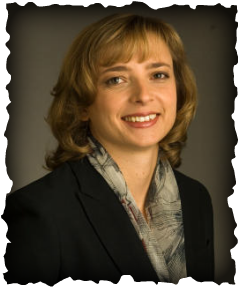 She is the forefront in robotics technology with her involvement with I-Robot along with Colin Angle and Rodney Brooks. In only 20 years, Helen and her colleagues have invented dozens of different robots that have made significant contributions in military applications, geographical research, space explorations, maritime uses and of course consumer applications (cleaning robots). Worldwide the I robot corporation has sold over 8 Million units. Probably the most memorable invention (at least to consumers) from I-Robot would be the Roomba Robot Vacuum (2002). Selling over millions of units, the Roomba Robot Vacuum is a staple in I-Robots Consumer market.